Social media suites have the capability to manage, monitor, and analyze information related to one or multiple social media accounts through a single product. Social media suites are intended to fulfill any business need related to marketing or communications teams hoping to utilize social media in their marketing strategy including management, monitoring and analytics. Management includes automating posts, engaging with communities, and integrating accounts across media. Monitoring is the listening, tracking, and gathering of information across social media channels. Analytics is the practice of aggregating data across media in order to measure effectiveness of practices and provide information to sales, marketing, and customer service activities. Social media suites can benefit businesses by increasing brand recognition, converting audience members to customers, increasing inbound traffic, minimizing marketing costs, and increasing SEO rankings. Social media suites provide the functionality offered by social media management software, social media monitoring software, and social media analytics software in a single, comprehensive product. Some products in the category also offer capabilities to purchase and manage ads on social networks, manage online communities, manage online reputations, and provide social customer service functionality to respond to customer issues and questions via social media. Social Media Suites reviews by real, verified users. Find unbiased ratings on user satisfaction, features, and price based on the most reviews available anywhere. Social Studio helps you build more meaningful relationships with customers by tapping into the power of social media in your marketing, customer service, and sales organizations. Harness social conversations to listen, analyze, publish, and engage with your customers on a 1-to-1 basis. With over 250 employees and 2,000 customers, Facelift is the worldwide leading social media marketing technology provider. With Facelift Cloud, Facelift offers a multi-certified software solution that covers all relevant networks (Facebook, Instagram, Twitter etc.) and provides all components for social media marketing at an enterprise level. Facelift Cloud is ISO 27001 certified and provides a maximum of data security as it is fully hosted in Europe/Germany. Gremlin Social offers a wide array of essential social media marketing tools to help you make the most of your online strategies. From message management and customer engagement to social analytics and education, Gremlin's unique feature set is specifically designed to help you master social media marketing for the financial industry. Transform your sales reps and loan officers into social sellers. Awario is a social media & web monitoring tool that will help you track brand mentions, monitor competitors, find sales opportunities and influencers, and engage with your audience online. Commun.it - Community Management for Twitter that Makes a Difference! Commun.it dramatically improve the way you build relationships and discover leads on Twitter! It helps you to build meaningful, personal relationships through social media while focusing on your highest-value relationships (influencers, supporters, most engaged members,promising new leads...). This helps you to grow engagements, discover new leads and influential followers and build real connections that help you reach your business goals. Earshot™ is a next-generation mobile app and web platform that advances how location is used to bring more importance and impact to your real-time opinions and experiences. A full social media management platform for listening, engaging and publishing. Facilitate market research with highly evolved software that listens deeply and reveals what consumers really need. Avoid consumer confusion with a smarter, coordinated workflow that engages the right resources to deliver the right answers. Track who said what, where and when across channels and across the entire organization. Automatically process posts from the entire social landscape to identify trends. Monitor your brand mentions, schedule and launch social media campaigns and measure resulting sales and engagement from those campaigns - all in one easy-to-use platform. Online platform for automating the process of boosting Facebook posts along with intelligent data analytics that enables to automatically select the best posts - the posts that are worth boosting them. ELI is an agile and powerful software, that facilitates planning, executing and optimizing advertising campaigns, harmonized and effectively through direct access to all social networks. Automate your workflow, activate your data and simplify your campaign execution across social. PromoRepublic is the only social media marketing platform with 100,000 post ideas for small businesses and marketers. Advanced collaboration features and white-label options make it practical for agencies and freelancers. Additionally, the platform allows you to monitor mentions on social and run intelligent ads on Facebook and Instagram. 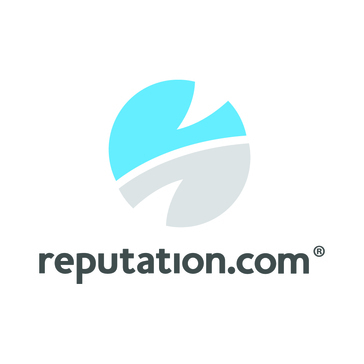 PromoRepublic is used by more than 12,000 businesses, marketers and agencies worldwide. SocialClout helps any individuals or businesses optimize and measure their social media management efforts. It is an award winning product that provides social media analytics and helps analyze sentiment around your business or brand among followers, customers or prospects at leading social media platforms such as Facebook, Twitter, Instagram, LinkedIn and YouTube. Real-time engagement dashboards, Campaign or Post Scheduling, Keyword Search, Presentation ready reports and competitor analysis reports are some of the various capabilties that are bundled under transparent, flexible and affordable pricing plans. Sociota is a Social media management, Monitoring and reporting tool. It allows you to manage multiple social media profiles from Twitter and Facebook right from the Sociota dashboard. It's a great way to save time and improve your Social Media ROI. The dashboard is designed to let you listen, engage and manage all your accounts from one simple interface. Sociota is packed with features which will help you with a successful campaign. All your social media analytics requirements in one beautiful tool.